Central Harbourfront is buzzing with activity this spring: just as the big tents of Art Central and last week’s 18+ Central have come down, another Big Top is being raised in its place to welcome the world’s most famous circus troupe into town — Cirque du Soleil, who will present their latest production KOOZA to Hong Kong audiences for the first time. 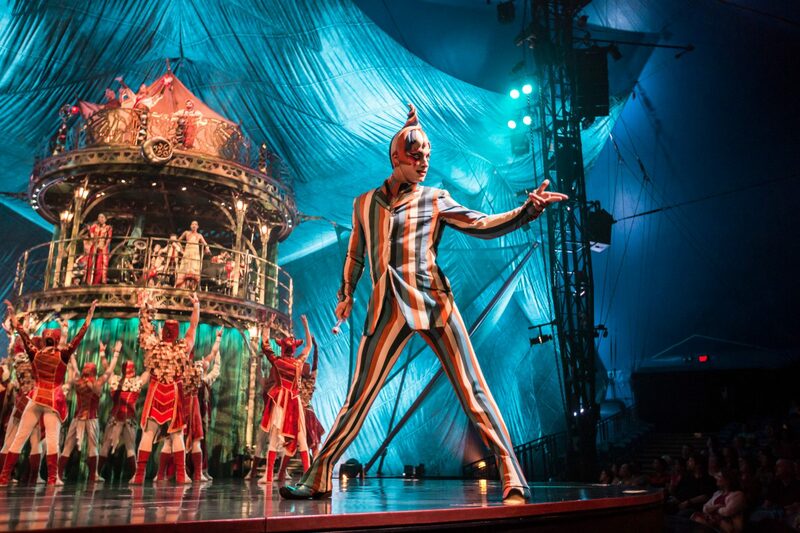 Since premiering in Montreal 11 years ago, the iconic blue-and-yellow Big Top housing KOOZA has toured the world for over seven million people. Following recent stints in Beijing and Shenzhen, Hongkongers will soon be enthralled by the 2.5-hour heart-stopping spectacle of acrobatic acts and comedic shenanigans, all set to a live soundtrack of jazz, funk and Bollywood beats. 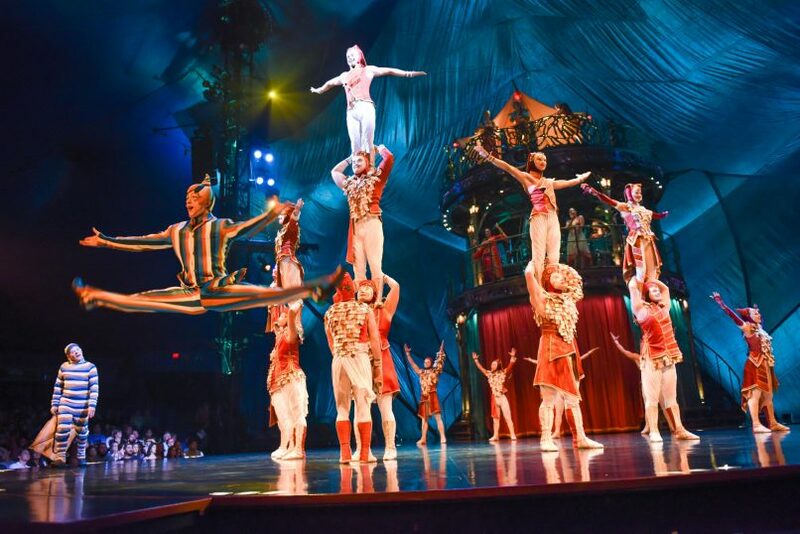 The name Kooza derives from the Sanskrit word ‘Koza,’ meaning ‘box’ — and out of the Pandora’s box comes an international cast of 50 acrobats, musicians, singers and actors from over 19 countries. They come together to tell the story of a young boy — “The Innocent” — who embarks on a journey meeting eccentric characters and thrilling surprises along the way. 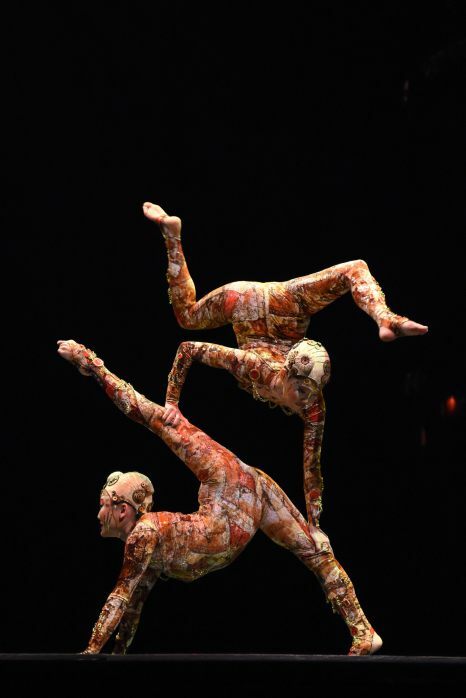 Cirque du Soleil’s bendiest acrobats are KOOZA staples. No one can deny a good daredevil act, and KOOZA is packed with knuckle-biting performances showcasing the best of Cirque du Soleil’s roots, from its famous double-jointed contortionists to daredevils who have no qualms about being tossed 50 feet into the air, as well as colourful costumes and makeup that makes for the well-loved, mystical allure of the circus. 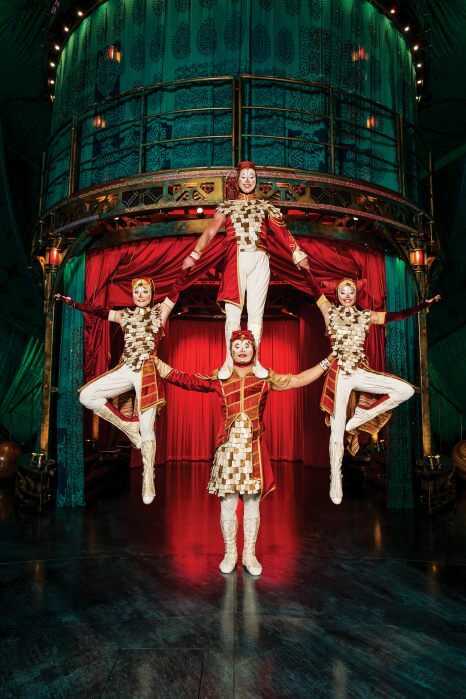 KOOZA brings the old-fashioned art of clowning and acrobatic spectacle to Hong Kong. The humorous aspect is also something to look forward to: each act, whether you’ve got a fearless tightrope walker or flying trapeze artist, features performers injecting their piece with slapstick humour and comedy. 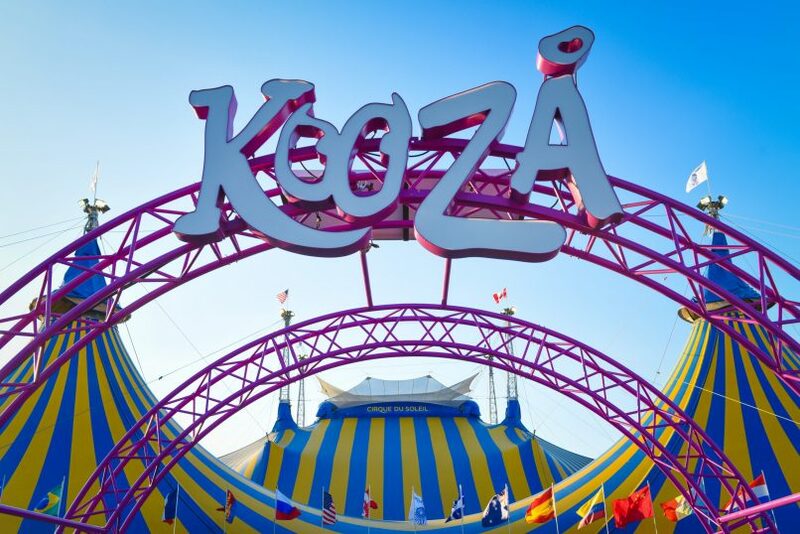 In addition, KOOZA sets your heart racing with not just acrobatic acts, but with a raw, physical manifestation of deeper notions such as strength, harmony, identity, fragility and power. It’s looking like a night under the Big Top will be a rollercoaster of emotions, with performance in its rawest, purest form. To get the best seats in the house, you’ll want to nab the VIP tickets which offer access to the intimate VIP suite for wine and hor d’oeuvres an hour before the show and during intermission. For an extra HK$200, you can also get access to the exclusive KOOZA lounge. KOOZA will open from 19 April–3 June 2018 at Central Harbourfront Event Space, 9 Lung Wo Road Central, Hong Kong; Buy tickets from Asia Box Office here.